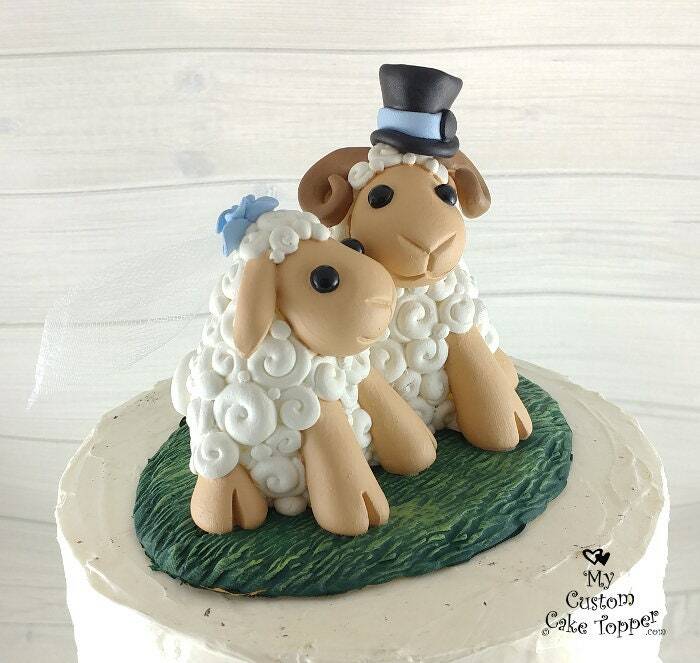 Adorable Sheep Wedding Cake Topper! 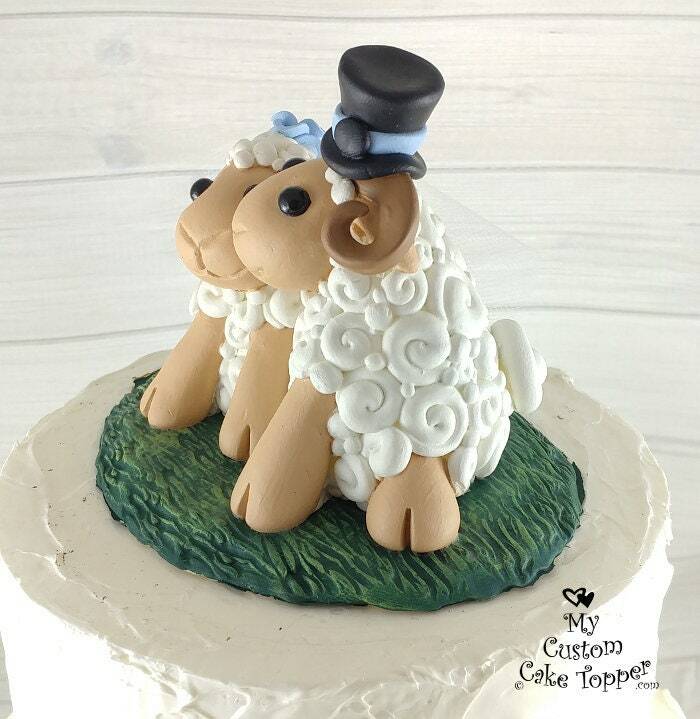 There's no need to be sheepish with your cake topper! 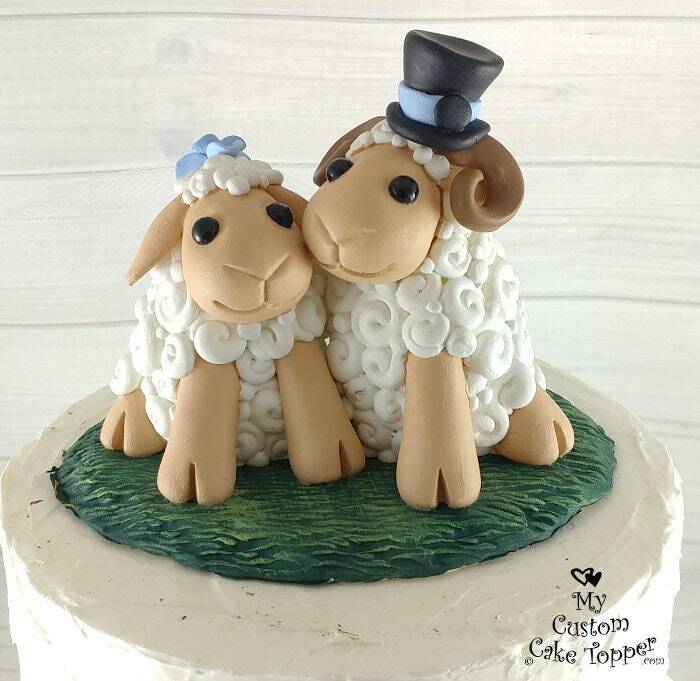 These sheep are handmade from polymer clay, they are non-toxic and can last a lifetime with proper care, a perfect keepsake from your special day. They are approx. 5" wide by 5.5" tall. Every sculpture is made to order and is unique, so it might vary slightly from the examples shown. I do not make money off of shipping, if there is $3.00 or more left over from shipping then I will refund the remaining balance to you. 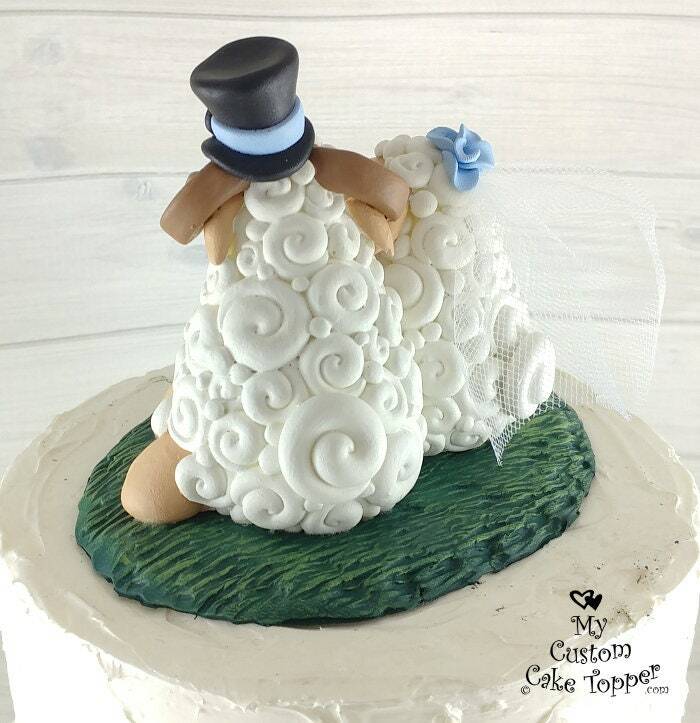 Thank you for your interest in my cake toppers! 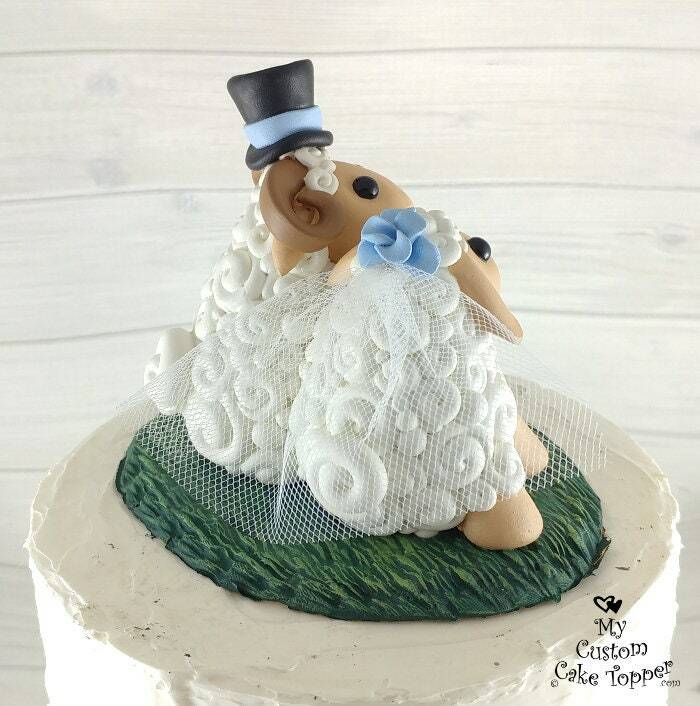 The topper was perfect!! They loved it! Scotland is where got married so many sheep !! !